If you plan to refresh your wardrobe with new seasonal pieces, be sure to purchase clothes with stripes be perfect fashion investment! These dresses offers to you online shop Rosegal. Apple green dress and red spaghetti strap dress are very popular these days, and the real choice for the hot days. Comfortable, trendy and wearable in the casual and the formal occasions. In them you can look glamorous and feminine, because they are made of high quality material, also is very comfortable and perfect for summer days. You can find a wide selection of dresses in different models and sizes. Besides the beautiful dresses this store offers you a huge selection of shoes, handbags, jewelry, T-shirts, skirts, pants …. This online shop can help you to complete your look, without spending much money. No matter what’s your personal style or taste in fashion there’s something for everyone. Be stylish at any moment, and that can help Rosegal. They follow the latest trends, so it certainly can not go wrong if you choose one of their dress. 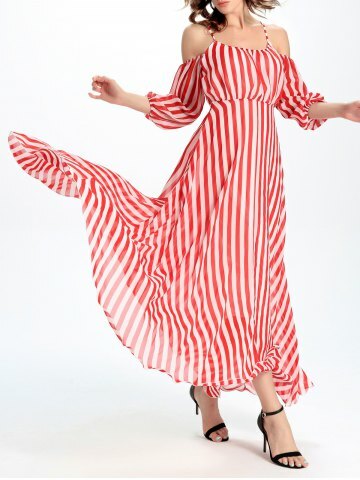 Surprise yourself with a nice flowing dress and refresh your wardrobe with quality clothes from this online store. For you to choose the most beautiful!